About three years ago, I told Wiseguy that we should move to Venice. No, I don’t speak Italian. I don’t have any Italian friends. (I do have some Italian relatives…but I non parlo Italian). I think Vespas are just the coolest ride ever! I love any and all pasta dishes. I have an absolute addiction to pizza. Your question is most likely, why Venice and not another Italian city? Back in 1989, I went on a gondola ride. I was enamoured with the view of the old, tall buildings. The gondolier talked about the history of the city. He pointed out historical landmarks. He spoke of the Venetians, past and present. I loved the way we glided slowly through the water. (Mind you, at that time it, it smelled more like a sewer than the sea.) I loved how the gondoliers would sing when they got to an intersection to let other gondoliers know that they were approaching. My mind began to wander. I imagined myself sitting at one of the cafes sipping a glass of wine, watching all the tourists rush about. I pictured myself living in one of the apartment buildings. I dreamt of going out daily to get fresh baked bread. I would learn the language and speak it fluently. I would be a Venetian. The ride ended, but my dream never did. Although we haven’t moved to Venice (yet), I never gave up on several of my wishes. 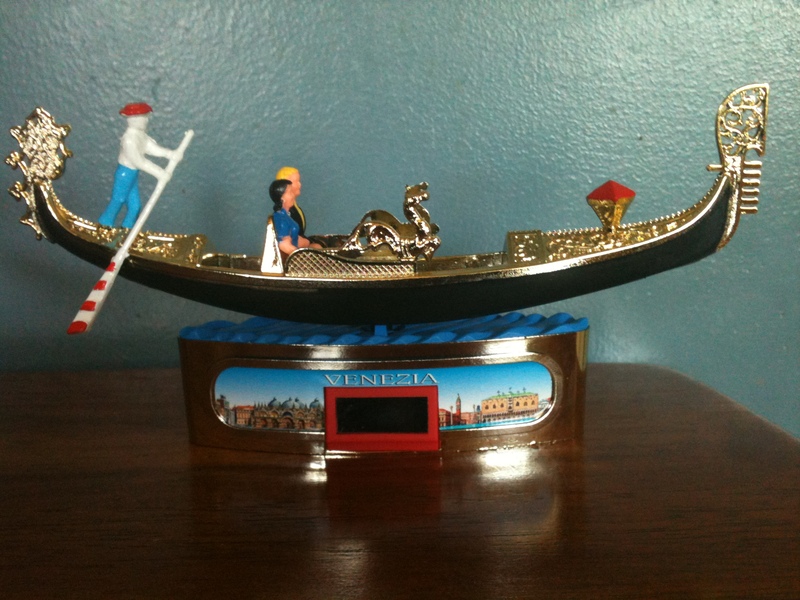 I wished that one day, Wiseguy and I would go on a gondola ride together. Yes. So sweet and romantic (and soooo corny…but that’s me) This year, my wish came true. On our trip to Europe, I got to celebrate my birthday in style. A trip to Venice and a gondola ride. Molto bene! I had told Wiseguy many times that he would enjoy the gondola ride. He had heard that the ride was big bucks and that you floated through stinky, sewer water. I informed him that,over the past few years, they had been cleaning up the waterways. I hinted that we wouldn’t know how good or bad it was until we got there and checked it out. The debate continued. In the end, birthday wishes (or maybe his curiosity) won out. After the long drive from Croatia to Venice, Wiseguy recommended a wee bit of rest away from the crowds. And there it was. Wish number two. We found a little cafe on one of the side streets. It was away from the din of the tourists. We had a glass of wine and just enjoyed the peace and quiet. Our senses also got to enjoy the wonderfully, aromatic smell of fresh pasta sauce as large plates of spaghetti floated by us via waitress. Even better, the smell of fresh baked pizza wafting through the air. What a beautiful moment it was. But I digress. Time to find us a gondolier! We wandered back to the centre of the square and saw three gondoliers. How did we know? Well, they each had on black pants, a striped blue and white shirt and a lovely straw gondolier hat with a blue ribbon on it. We picked the middle man and followed him down a side street. His knowledge of the English language was excellent! Better still, it had that little lilt of the Italian accent as he spoke. Melodica voce! We wound through the little side streets, passing little cafes as we walked. We got to an opening and there it was. A shiny, black gondola. It had metal horses on the sides and large fancy tassles. There were two velvet covered chairs and a velvet bench seat with a colourful blanket draped casually on it. We boarded, got comfy, and then we were off! Our gondolier, Sebastian, has been a gondolier for 17 years. His father retired and the horses and pictures and chairs on the gondola were originally from his dad’s gondola. How wonderful. He sang out little songs as we neared corners. He waved happily to his fellow gondoliers, “Ciao Mario!” We heard about how Venice is slowly sinking. We heard about Don Juan and Marco Polo and were shown where they lived. We heard about how the rich Venetians built churches on every island in Venice. We heard about the one rich Venetian that wanted to be king. “Well”, the others said, “off with his head!” Yikes. Don’t upset a Venetian! After about 50 minutes, our cruise was over, but thanks to Sebastian, our memories will last forever. Wiseguy really enjoyed the ride. He told the kids all about his experience and how one day, they must go on gondola ride. Now THAT should tell you something. 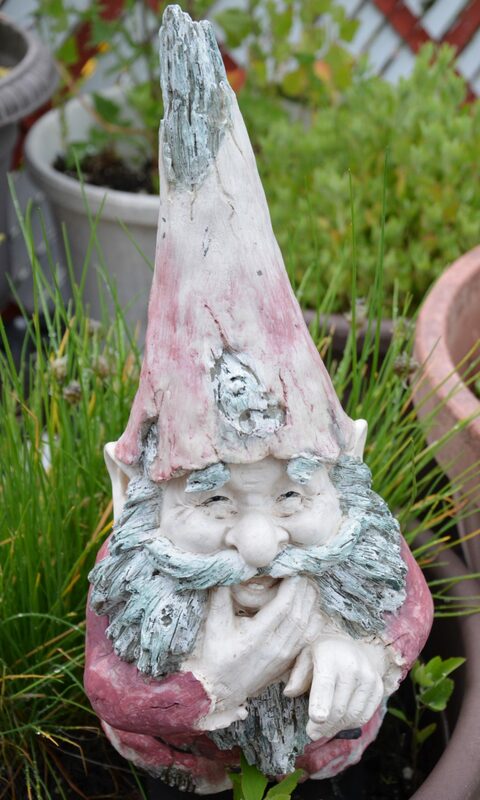 Sebastian, if you are reading this, we purchased a little memento of our visit to Venice. We named the gondolier Sebastian.